One of the reasons that I love sharing baked oatmeal recipes is because even non-oatmeal eaters love it. I have lost count of all the emails and comments I have received over the years from readers thanking me for making their oatmeal hating family member love oatmeal. It really is one of the best ways to serve oatmeal! Because baked oatmeal recipes are some of the most popular recipes on my site, and because my family eats baked oatmeal often this time of year, I love coming up with new versions of it. I like experimenting with different flavors and combinations. I realized recently that I had several versions that I had not shared with you and knew I had to fix that. Especially since baked oatmeal is a great holiday breakfast. It is an easy breakfast to serve a crowd because you can make several pans of different flavors and everyone will have a version they enjoy. 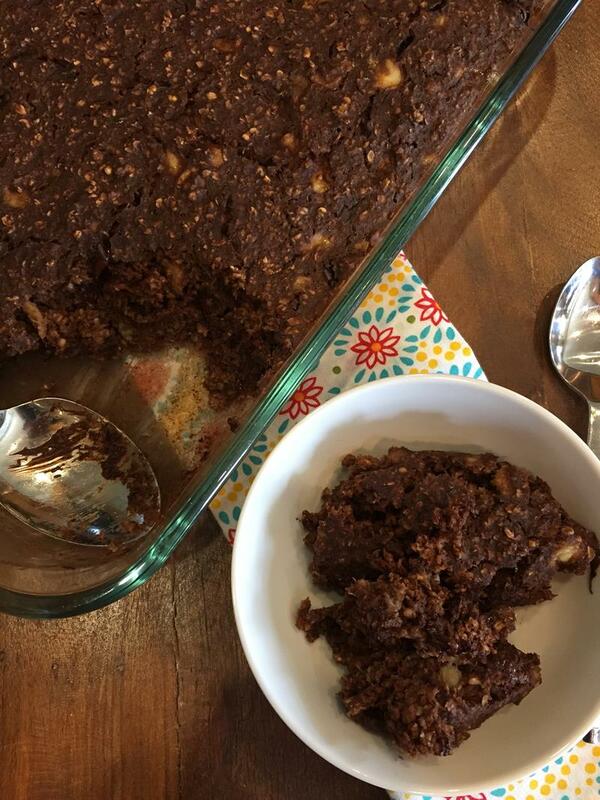 The version I am sharing today, chocolate banana baked oatmeal, is simply my banana baked oatmeal recipe with chocolate added. 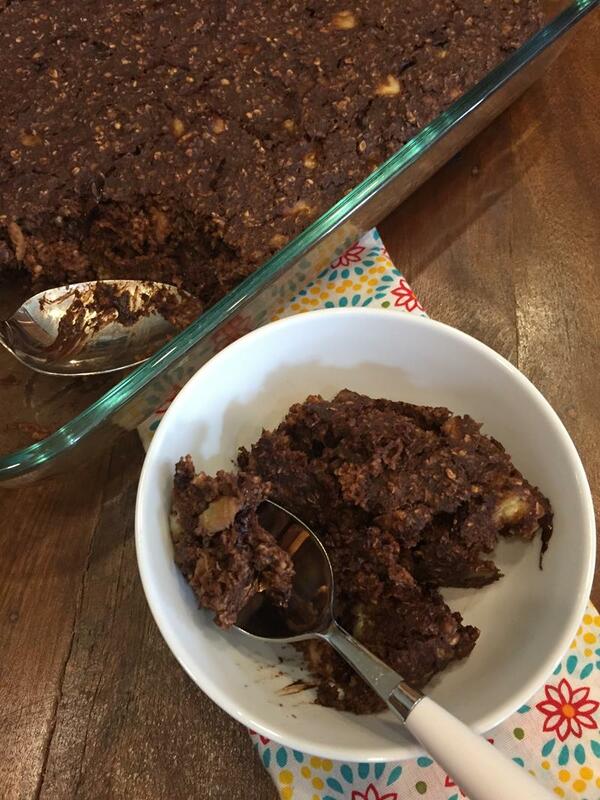 Now, I will totally admit that my family often adds chocolate chips to my banana baked oatmeal, but today we are adding two kinds of chocolate to it. Cocoa and chocolate chips. So, this recipe is not the healthiest of baked oatmeal recipes. But it is so good! It makes a great special treat breakfast that everyone is sure to love. 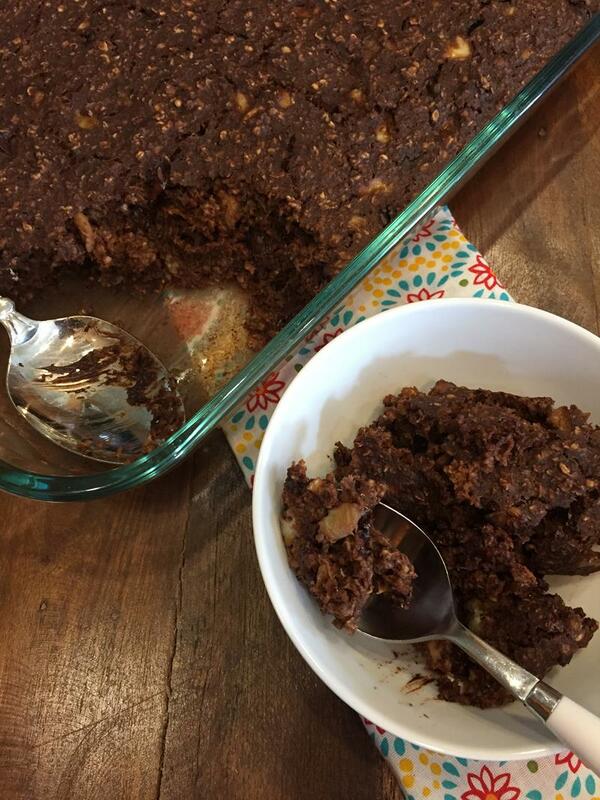 It is also a delicious way to use up some of those overripe bananas that you may have on your counter. Need more baked oatmeal recipes? You can find all my baked oatmeal recipes here. Curious how baked oatmeal can be made ahead and frozen? Be sure to check out my tips for freezing baked oatmeal. If you like it a little crunchy on top cook for a few minutes longer. serve with warm milk poured over top.